Trench, Richard Chenevix, D.D. was born in North Frederick Street, Dublin, on Sept. 9th, 1807, during a visit of his parents of some mouths to Ireland. His father was Richard Trench, 6th son of Frederick Trench, of Woodlands, Co. Galway; his mother Melesina, only grandchild and heiress of Richard Chenevix, Bishop of Waterford, and widow of Colonel St. George. On his mother's side he was almost purely French, the grandfather of Bishop Chenevix of Waterford, Philip Chenevix of d'Eply of Loraine having only taken refuge in England on the revocation of the Edict of Nantes. The Huguenot refugee families married for a long time within themselves, and in Mrs. Richard Trench, four distinct foreign strains were blended. Her sons (the Archbishop and his brothers, besides his two sisters) were the only descendants of the Refugee Philip, either in the male or female line, all the other branches having come to an end. Trench's home in childhood was Elm Lodge, close to the village of Bursledon, not far from Southampton. In February, 1816 he proceeded to Twyford School, and in 1819 to Harrow, where he won great distinction. In October 1825 he was entered at Trinity College, Cambridge. His mother's correspondence is full of references to a little periodical called The Translator, begun in 1825, or immediately on his becoming an undergraduate. She was his ardent co-worker both as contributor and critic. In 1826 he had acquired Spanish, and in that year applied himself to preparing and publishing a volume of Miscellanies, of which the "profits were to be sent to the committee formed for the relief of the exiled Spaniards." On May 27th, 1827, his mother died at Malvern. The Letters and Memorials (1888) give vivid and exciting details of his continuous interest and daring personal service and sacrifices on behalf of Spain. It was during the winter days of 1829-30 that the consultations and schemes respecting Spain were discussed in John Sterling's apartment. Robert Boyd, Trench's cousin, threw himself and his entire fortune into the plot by purchasing a small ship in the Thames and storing it with arms, in which General Torrijos and fifty picked Spaniards were to sail for the new adventure of the Golden Fleece. The enterprise ended tragically. Boyd and others perished by the inevitable vengeance of the Spanish sovereign when captured. By the hand of God, Trench was safe in Gibraltar. Till far up in young manhood he was undecided as to his calling, Law rather than Divinity colouring his thoughts and plans. He left Cambridge on February 1st, 1829, and rejoined his widowed father at Elm Lodge, near Southampton. He married, at the Abbey Church, Bath, on May 31st, 1832, his own cousin, Frances Mary Trench, daughter of his uncle, Francis Trench (2nd son of Frederick Trench, of Woodlawn, co. Galway, Ireland, and next brother to the 1st Lord Ashtown). On October 7th, 1832, he received Deacon's Orders in Norwich Cathedral at the hands of the aged Bishop Bathurst of Norwich. His first curacy was at Hadleigh, Norfolk, with H. J. Rose. He was ordained priest early in July, 1835, by Bishop Sumner, of Winchester. 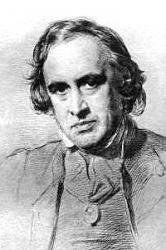 He published in 1835 The Story of Justin Martyr, and other Poems (Moxon). This was (practically) his first book. In 1838 followed Sabbation, Honor Neale, and other Poems, with Notes. In 1840 appeared his first prose work, Notes on the Parables of our Lord, subsequently companioned with Notes on the Miracles of our Lord (1846). In 1841 "the loving discipline of pain" visited his heart and hearth by the death of his eldest born, a deep sorrow which gave its subtlest and finest inspiration to his Elegiac Poems. A third volume of poetry, Poems from Eastern Sources, the Steadfast Prince, and other Poems, was published early in 1842; and a fourth, Genoveva, later in the same year. Early in 1843 he delivered his Five Sermons before the University of Cambridge, published in 1844. In 1844 also was published Exposition of the Sermon on the Mount, drawn from the Writings of St. Augustine, with Observations. In this same year he became Vicar of Itchen Stoke. 1. High thoughts at first, and visions high. Ordination. Appeared in his Story of Justin Martyr, &c, 1835, p. 53, in 1 stanza of 8 lines, and entitled "To a Friend entering the Ministry." Its use as a hymn is in an abbreviated form. 2. I say to thee, do thou repeat. Safety in Divine Guidance. Published in his Story of Justin Martyr, &c, 1835, in 10 stanzas of 3 lines, again in his Poems, 1865, p. 98, and ed. 1885, i. p. 140. It is headed, "The Kingdom of God." 3. Let all men know that all men move. Love of God. Published in his Story of Justin Martyr, &c, 1835, p. 111. 4. Lord, weary of a painful way. Evening. Appeared in his Sabbation, Honor Neale, &c, 1838, p. 117; and Poems, 1885, i. p. 207. 5. Not Thou from us, 0 Lord, hut we. Divine Love. Published in his Story of Justin Martyr, &c, 1835, p. 52, in 14 1., and in his Poems, 1885, i. p. 109. 6. Pour forth the oil, pour boldly forth. The Law of Love. Appeared in his Sabbation, Honor Neale, and Other Poems, 1838, p. 132, in 5 stanzas of 4 lines, and entitled "The Law of Love," also in his Poems, 1865, p. 150, and ed. 1885, i. p. 215. From this is taken the hymn, Make channels for the stream of love." 7. Some murmur when their sky is clear. Contentment. Published in the Sabbation, Honor Neale, and Other Poems, 1838, p. 116, in 2 st. of 8 1., in his Poems, 1865, p. 113, and ed. 1885, i. p. 142. 8. Thou inevitable day. Death. From his Sabbation, Honor Neale, &c, 1838, p. 99, in 14 stanzas of 3 lines, and headed, "The Day of Death." Also in Poems, 1885, i. p. 213.